Tons of snow in 2004. The Great Ski Race has been cancelled for the third time in a row due to lack of snow. The 30K cross country race from Tahoe City to Truckee has a 39 year history. During that time period, the race was cancelled only one time during the 80’s for lack of snow. Back in the day (1977), the race was manually timed and had only 66 racers. By 1985 the race got electronic timing and 600 entrants. The race attracts about 750 racers a year now. The race was set for March 6, 2015 at 7:00am in the Tahoe Cross Country ski area. The finish was at the Hilltop Lodge in Truckee. There is no information on The Great Ski Race website regarding refunds for entrants. 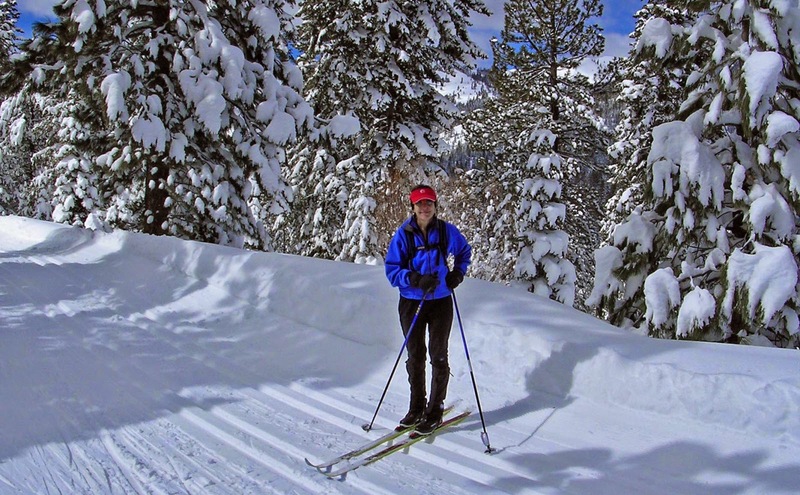 The Great Ski Race is the main fund raiser for the Tahoe Nordic Search and Rescue Team. Proceeds are used primarily to purchase equipment for the Team, and for winter survival and avalanche education programs.